Mine is getting replaced in the morning, had to wait on the part coming in. I wonder how many times we can do this? Every six months? 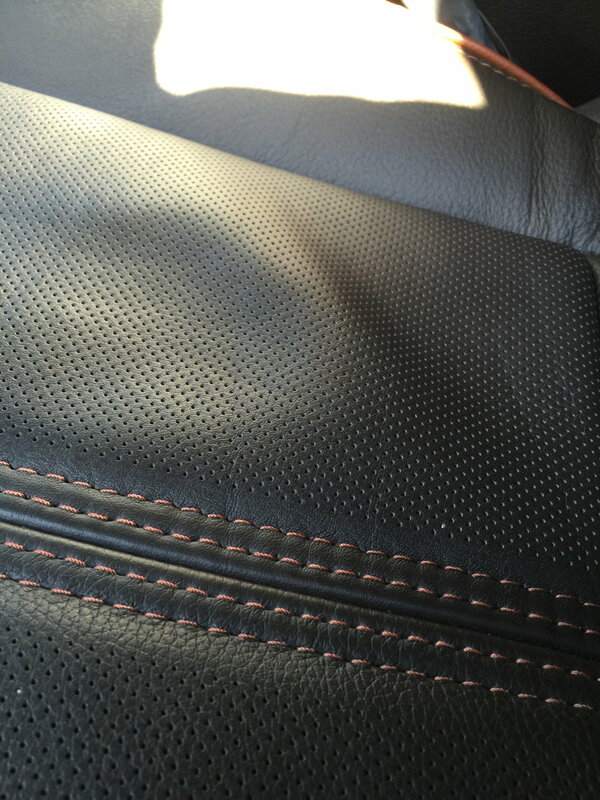 Will the leather seat issue sloppy for 2016s if they have the issue? I have that problem too but no copy of the PDF has been forwarded onto me yet. I've been told that you just need the TSB number and your service adviser can look it up while you stand in front of them. Does anybody have the "complete list". I have a number of oddities with mine that I don't know if problem or just odd operation. There is a sticky on the forum main page with 2015 TSBs and Recalls listed. If you know of any that are not listed let me know and I'll update the thread with the help of the Admin. So is this what we are talking about on seat wrinkle? And what do they do to fix that doesn't screw up something else! Last edited by Topkeg; 10-18-2015 at 03:54 PM. It gets much, MUCH worse than that. I don't see them replacing it at this level. If it gets really bad they replace the bottom seat cover. Yes that's it,, they replaced mine.. Probably with the same thing which will of course do the same thing. Have to agree. The material never should have made it out of R&D for the intended application. Multiple heads should have rolled in that department for this.